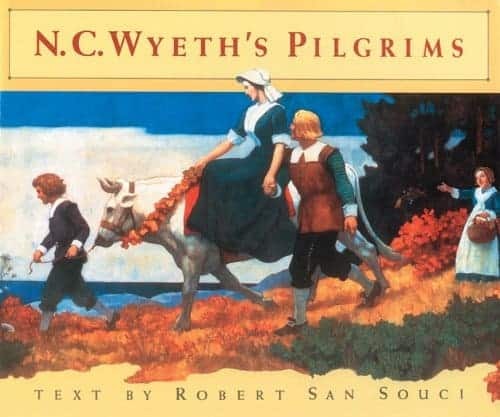 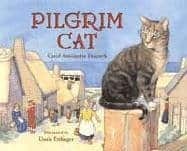 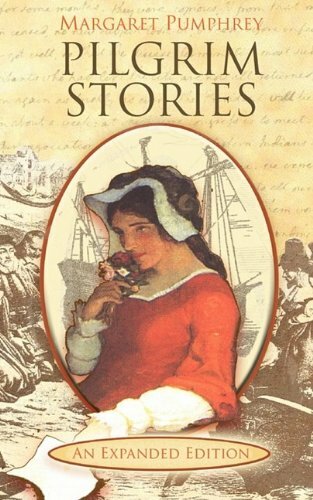 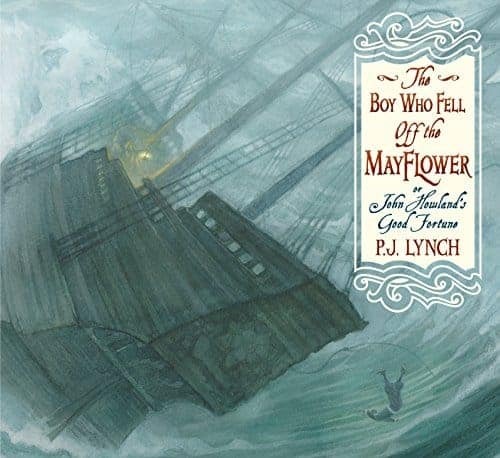 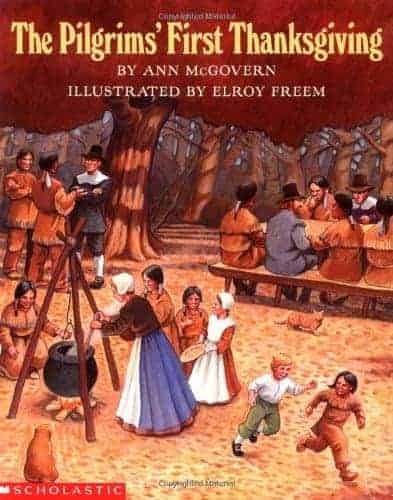 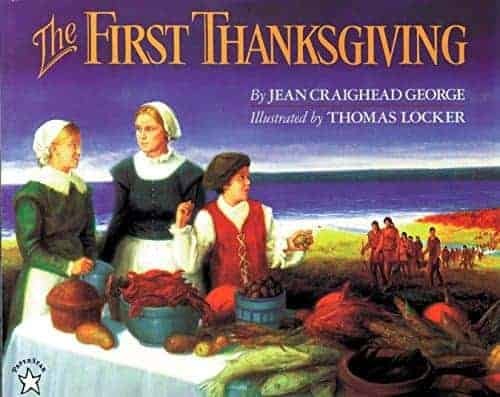 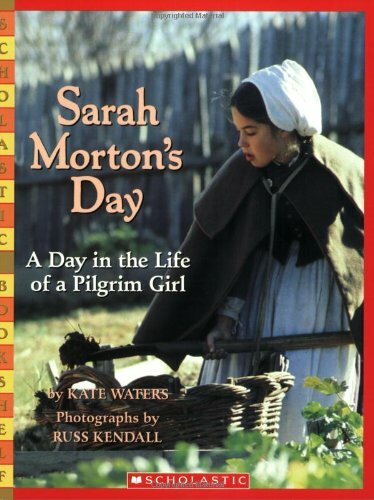 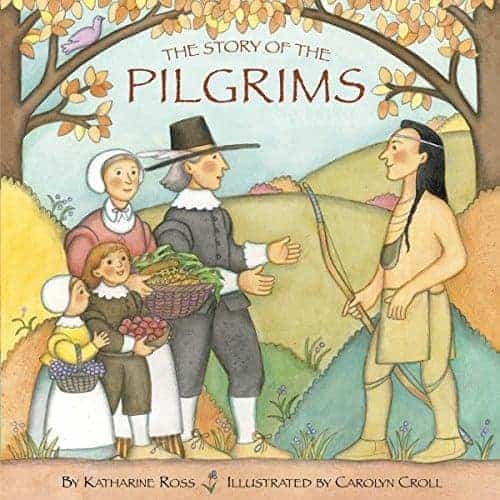 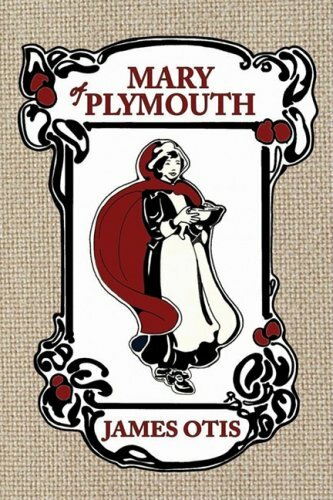 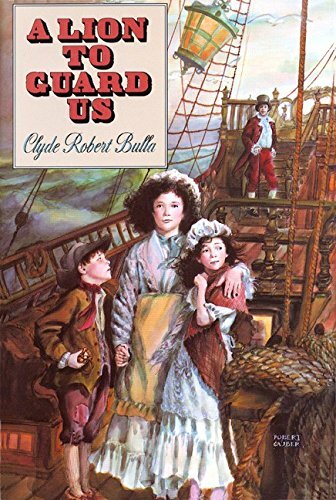 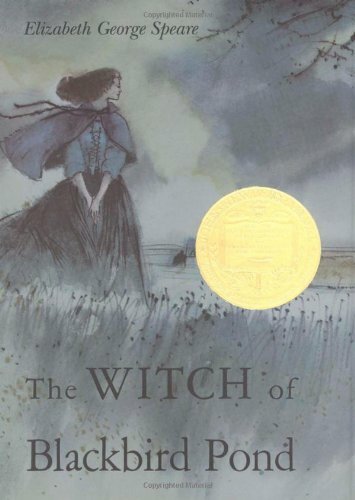 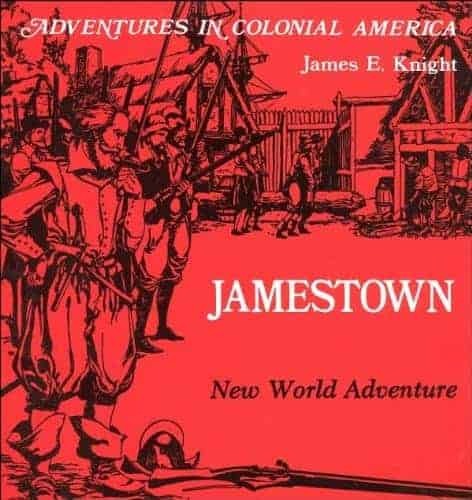 In these richly detailed pages, you'll meet three of the young Pilgrims who sailed on the Mayflower, Bartholomew, Remember, and Mary Allerton. 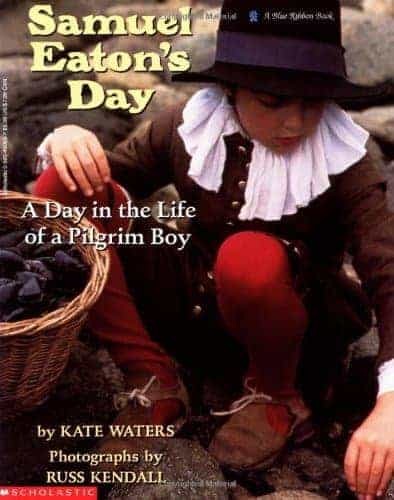 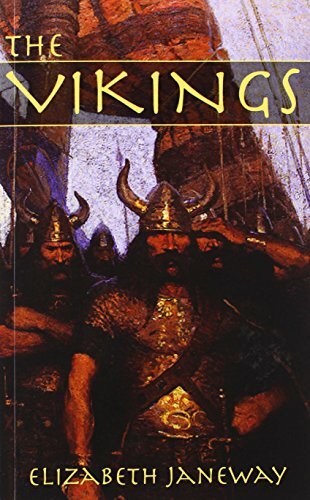 When Bartholemew, Remember, and Mary Allerton and their parents first step down from the Mayflower after sixty days at sea, they never dream that life in the New World will be so hard. 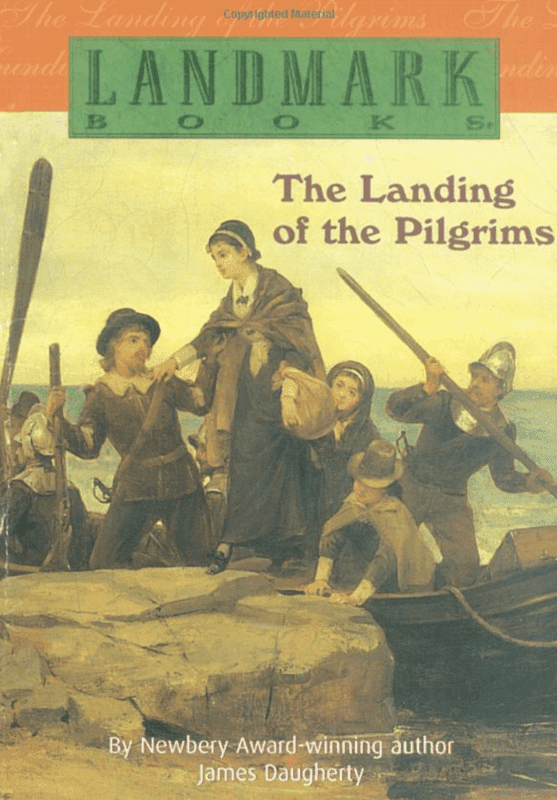 In these richly detailed pages, you’ll meet three of the young Pilgrims who sailed on the Mayflower, Bartholomew, Remember, and Mary Allerton. 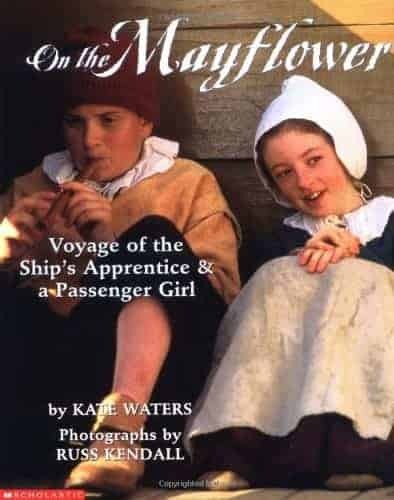 When Bartholemew, Remember, and Mary Allerton and their parents first step down from the Mayflower after sixty days at sea, they never dream that life in the New World will be so hard. 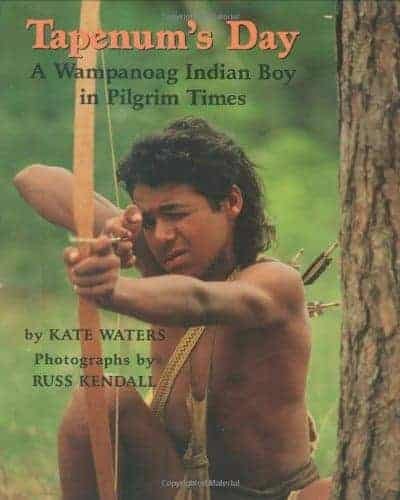 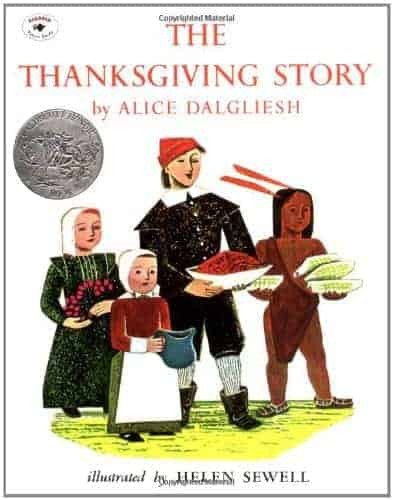 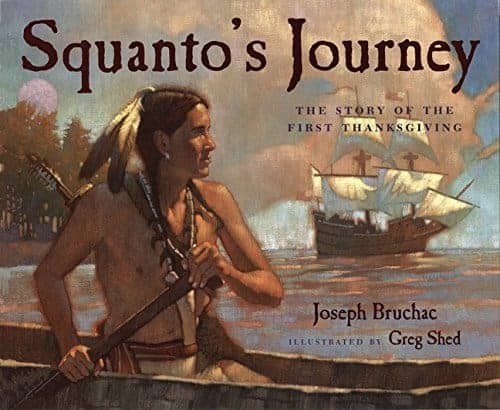 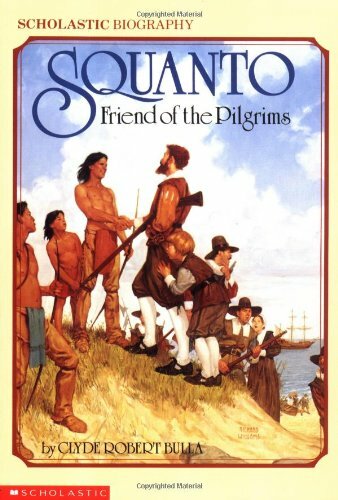 Many in their Plymouth colony won’t make it through the winter, and the colony’s first harvest is possible only with the help of two friends, Samoset and Squanto. 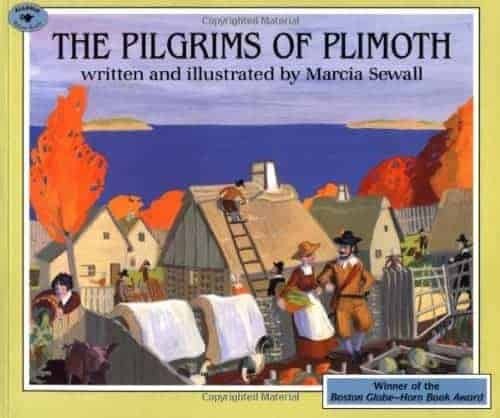 Richly detailed paintings show how the pilgrims lived after landing at Plymouth, through the dark winter and into the busy days of spring, summer, and fall. 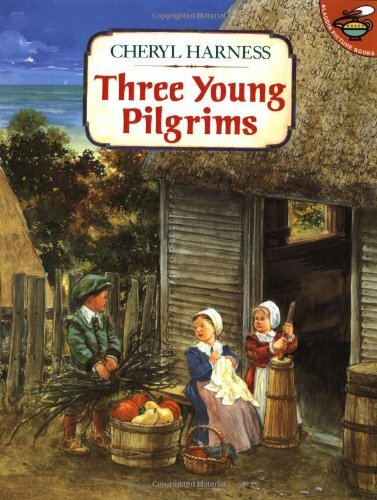 Culminating with the excitement of the original Thanksgiving feast, Three Young Pilgrims makes history come alive.